The goal of this wiki is to create an independent resource for people who own, or who are interested in JGAurora 3D printers. 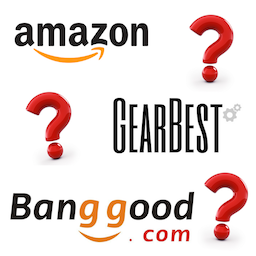 Take $10 off any $200 or more JGAurora purchase on gearbest! Click here and use coupon GBLIVE31902! JGAurora are running a big 3-day sale on the A5S! Click here to check it out! Currently no coupons - best price on the A5S from Gearbest here. EURO CUSTOMERS: Gearbest is currently running a FLASH SALE on the A5, with stock ready to ship from the EU (which can help to save on import duties!) - and there are coupons too! Check out the Starter Kit Page, for essential 3D Printer Tools and Accessories. For all other models, please select from the full list below.